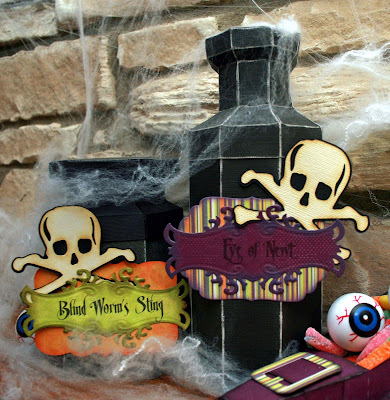 Blog Quick Quotes: Halloween Decor with Marcia! Hello Quick Quotes fans!! Have any of you decorated for Halloween yet? 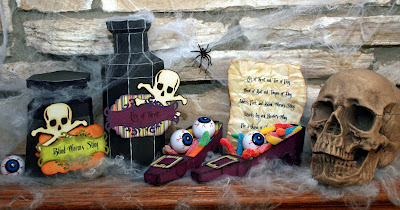 Marcia here today to show you how I decorated my fireplace mantle this year using the new Quick Quotes Halloween collection and some SVG files from SVGCuts. The witch shoes are filled with candy gummy worms and eyeballs. I thought it went well with the apothocary jars ingredients. 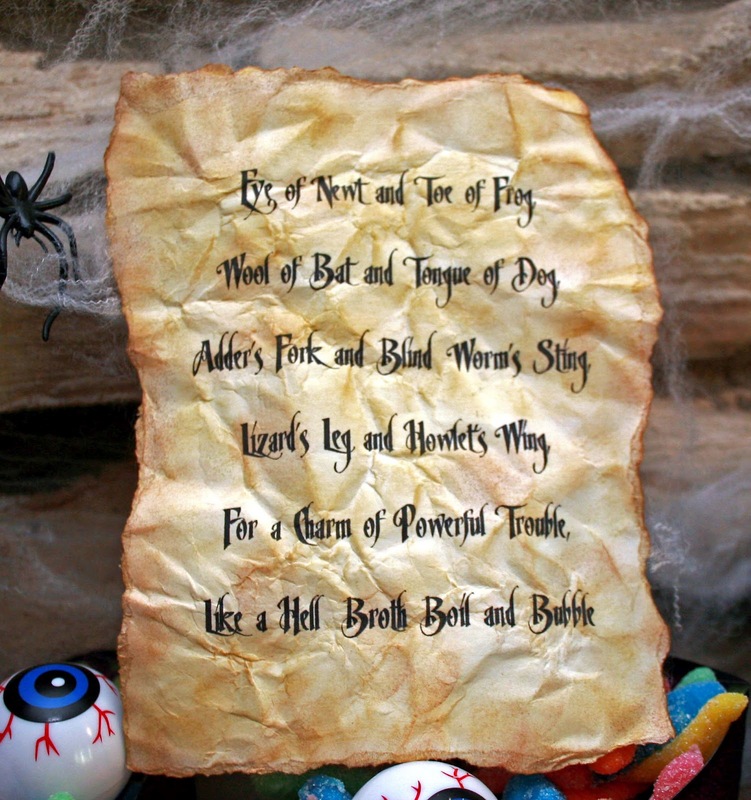 The idea for these labels came from the act in Macbeth with the three witches. So, I thought I would print out that spell and distress the papers using my Quick Quotes Powderpuff Chalk Inks. I used Biscotti and Mocha Mama inks here. Then I spritzed with water before crumpling the paper. I am really loving how all of this turned out. I hope I have inspired you to create some Halloween decorations too. Have a great day! Well done. I like the crumpled paper effect. Thanks for sharing. this is fantastic!!! love everything here! Spook-tacular! 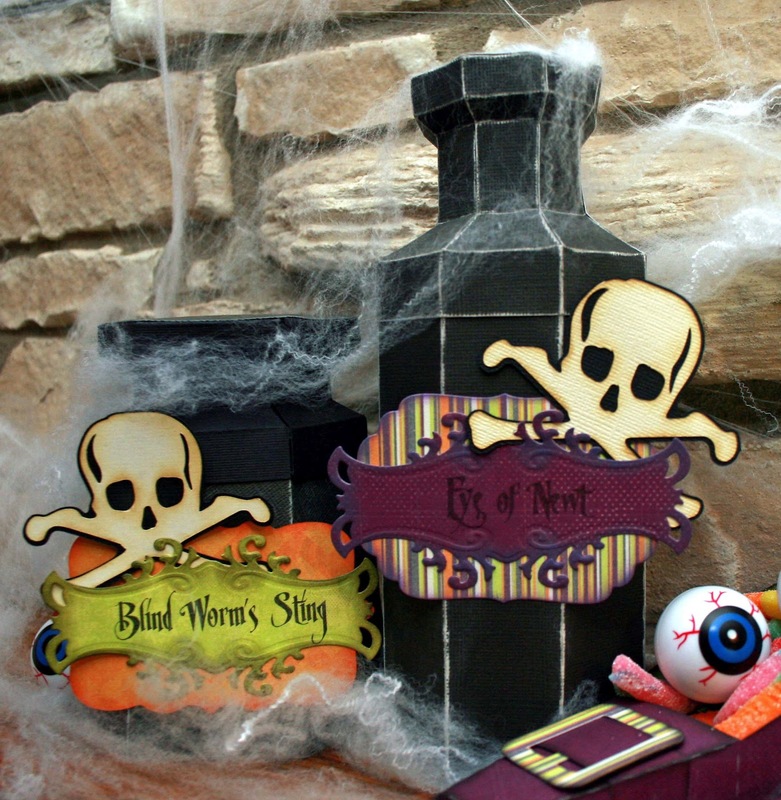 You ought to enter these in Decorate to Celebrate Ch35 Halloween. Let them know I sent you. WOW! What a spectacular Halloween display!! I love the the jars and how you distressed the paper you printed the poem on!! Thanks for sharing these fun ideas!